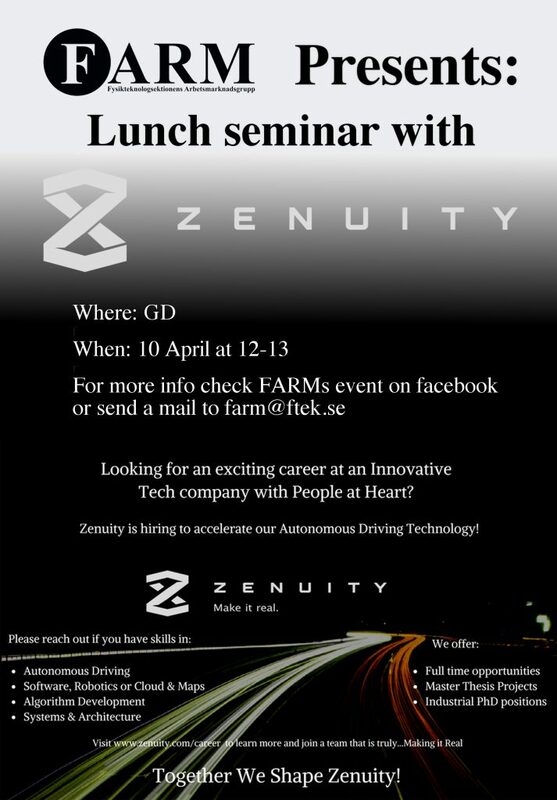 Zenuity will hold a lunch seminar in GD on tuesday 10th of April at 12-13. There will be free lunch for the first 50 students. Zenuity scope covers all software from sensor to actuator – starting with sensing and sensor fusion technology over to decision and control to vehicle control – using multiple inputs like camera, radar, ultrasonics, lidar – latest algorithm techniques including artificial intelligence, neural networks – machine learning – mainly for perception/decision logic and environmental modeling. On top of that Zenuity will use at a large extend cloud technology for real time maps and connected safety features. At Zenuity, we have a need for engineers with a solid background in programming and mathematics. In my talk I will present some of the challenges we are facing when developing autonomous drive functionality. I will do a deep dive in my area of development within probe and crowd sourcing of sensor data for producing maps to be used for localization of autonomous vehicles.